Three of the top four seeds advanced Thursday to the semifinals of The Motor City Open presented by the Suburban Collection. And unseeded Zahed Salem crashed the party. 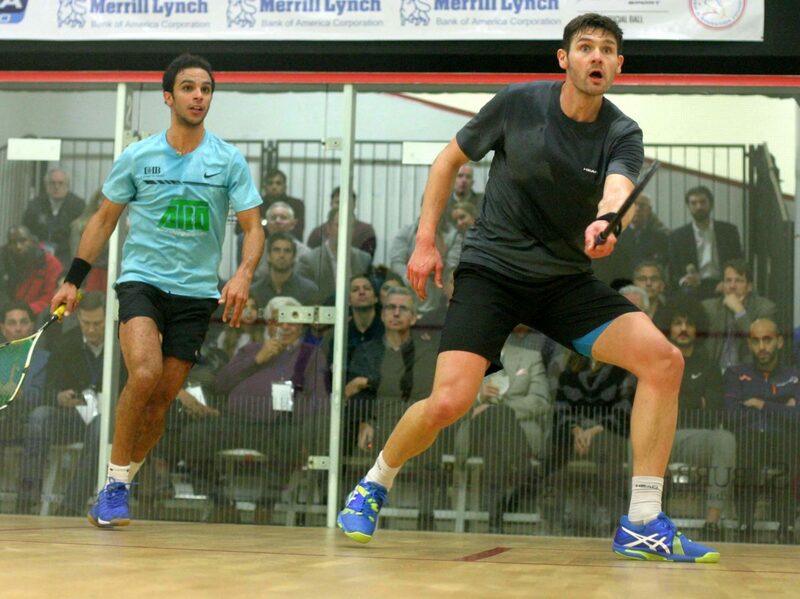 Salem made it three Egyptians in Friday’s semifinals, knocking off second-seed and the 2015 MCO champion Miguel Rodriguez of Colombia in four-games at the Birmingham Athletic Club. It was Salem’s first career win against a top 10 player, as Rodriguez was ranked World #6 until today. Salem said it was also his firstvictory against Rodriguez in about a half-dozen tries. When they last met, Rodriguez swept Salem by three games in November at the Hong Kong Squash Open. In Friday’s semis, Salem will meet close friend and countryman Mohamed Abouelghar, the third seed and World #10. It will be a rematch of the finals in Guatemala a few years back, which Abouelghar won against a hobbled Salem. In earlier quarterfinal matches, the higher seeds held as top-seed Marwan ElShorbagy of Egypt topped seventh-seeded Omar Mossad in three games. Fourth-seed Diego Elias of Peru topped #5-seed Ryan Cuskelly of Australia, who retired with an illness after two games. ElShorbagy, the defending MCO champion, lost to Elias in four games at last week’s J.P. Morgan Tournament of Champions in New York. PSA M70 Men’s Suburban Collection Motor City Open 2019, Birmingham Athletic Club, Bloomfield Hills, Detroit, USA.